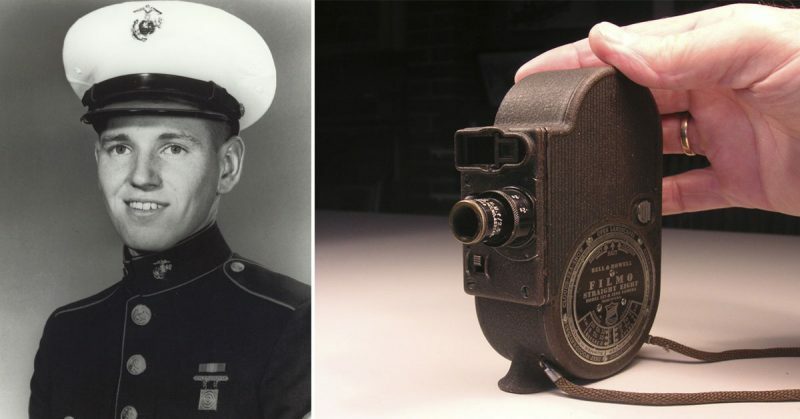 At the National Museum of American History, going through the Medal of Honor segment of The Price for Freedom: Americans at War, you would see his Bell and Howell camera bearing the scars of war from six decades ago. It still displays the filth from the Hải Lăng Forest. Together with the Medal of Honor and Purple Heart, it tells a tale of a matchless sacrifice that happened 51 years ago, during the war in Vietnam. The Vietnam War was a long and tumultuous period for Americans both at the front and at home. Beginning in 1955, it would mark the second-longest US participation in combat. It became America’s first televised war when several cameramen began to capture and document the conflict for the American people at home. Among those capturing and distilling these moments into documentaries was Corporal William T. Perkins Jr., who served in the Vietnam War as a combat photographer. In the midst of a crowd of raging warriors who bore the weight of guns and a desperate desire for survival, Perkins carried his Bell and Howell camera, shooting pictures instead of bullets. Despite his non-combatant role in the war, Perkins served with outstanding devotion. He even saved two of his comrades in a moment that would make him the first and only combat photographer in the history of America to receive the Medal of Honor. Born on the 10th of August, 1947, in Rochester, New York, Perkins spent a large part of his childhood being regaled with stories of his family’s participation in both the Civil War and Second World War. During his time at James Monroe High School, he developed a keen interest in photography. 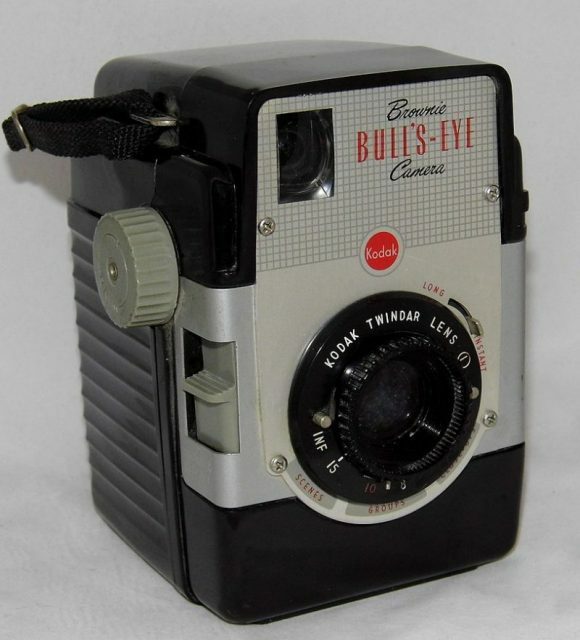 Seeing this, his father bought him his first camera — a Kodak camera. He used his present to learn and practice. He also joined his school’s photography club. In 1965, following his graduation from James Monroe, he joined Los Angeles Pierce College to study photography. However, by 1966, US involvement in the Vietnam War had escalated and so had the requirement for military personnel. Perkins joined the Marine Corps Reserve on April 27, 1966, but on July 6 was transferred to active duty. 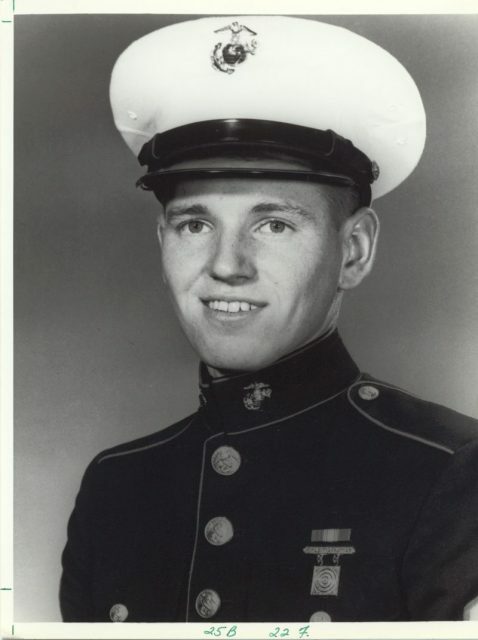 Upon completion of recruit training, he became a private first class in September 1966. Following this, he went to Camp Pendleton where he took individual combat training. During boot camp, Perkins requested to be a Marine photographer. The authorities granted his request, posting him to Marine Corps Supply Center, Barstow, California as a still photographer. U.S. Marine Corps LVTP-5 amphibious tractors transport 3rd Marine Division troops in Vietnam, 1966.U.S. Marine Corps LVTP-5 amphibious tractors transport 3rd Marine Division troops in Vietnam, 1966. There he found himself only taking pictures of the general in parades. Clearly, this was not what he wanted. He found it excruciatingly dull and unfulfilling. That fall, he requested a transfer to the U.S. Army Signal Center at Fort Monmouth, New Jersey. He wanted to go for training in motion picture photography. His headquarters agreed to effect the transfer. However, there was one condition. In order to have his request granted, Perkins had to be prepared for possible deployment to Vietnam. The thought of being in the Vietnam War did nothing to deter him from heading east. He took the headquarters’ caveat and made his move. Soon enough, he submerged himself in the art, reveling in doing what he had longed to do. When his training was complete, orders to Vietnam came calling. On the 17th of July, 1967, now a Lance Corporal, Perkins arrived in the war-torn Republic of Vietnam. There he served with Service Company, Headquarters Battalion, 3rd Marine Division as a photographer. 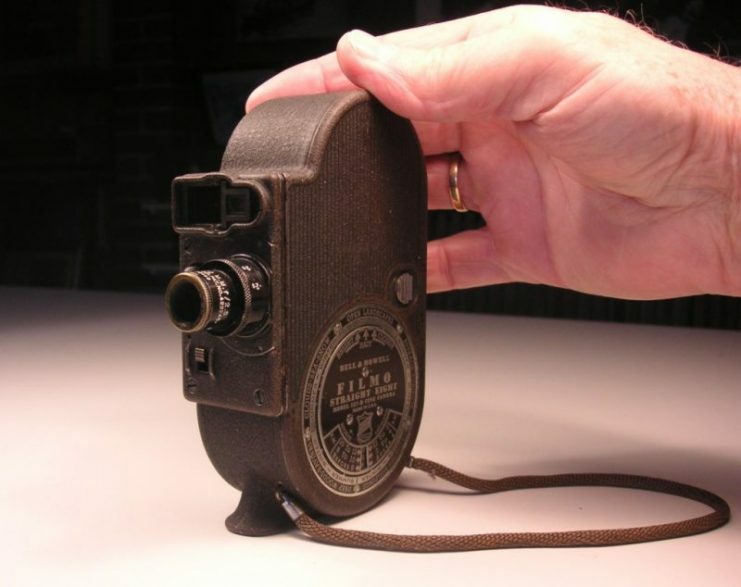 His equipment comprised a .45 caliber automatic pistol and a Bell and Howell 16mm Filmo movie camera. 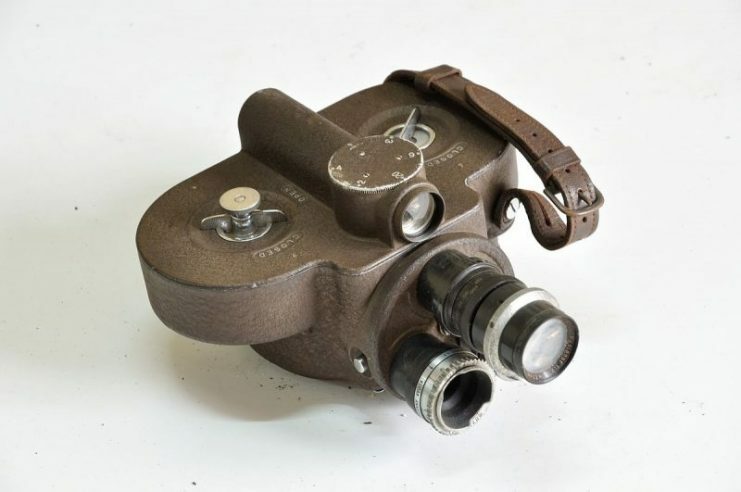 As a combat photographer, the Bell and Howell was his primary tool, having a higher priority than his gun. Alongside several other cameramen, he captured the ugly face of war. Every day he sent in pictures capturing moments of clarity, valor, empathy, and humanity. The end of the road would, however, come on the 11th of October, during a search and destroy operation code-named Operation Medina. By then, Perkins was a Corporal. Operation Medina saw the deployment of battalions from the 1st and 3rd Marine Regiments into the Hải Lăng Forest Reserve, south of Quảng Trị, South Vietnam. During this operation, Perkins joined Company C of the 1st Marines as they searched for Base Area 101 of the People’s Army of Vietnam (PAVN). Staged PAVN propaganda picture showing troops in attack- circa 1967. 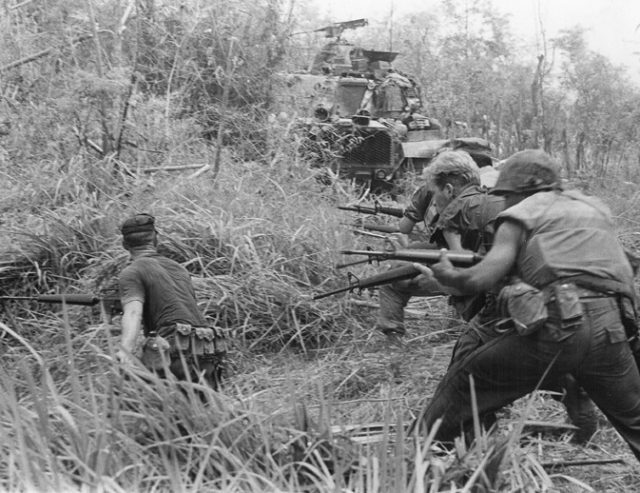 The operation pitted the Marines against the 5th and 6th Regiments of the PAVN. On the first day of the operation, Company C of the 1st Battalion, 3rd Marines successfully repulsed a tirade of PAVN mortar and small arms fire which had been followed by a ground assault. However, on the second day, the battle within the forest intensified. Perkins’s company came under a shower of bullets and grenades. This ambush led to the death of one Marine while about 11 others sustained injuries. Other Marines formed a defensive perimeter where they prepared a landing zone for medevac helicopters to fly out the casualties. Perkins kept his camera rolling, recording every moment. 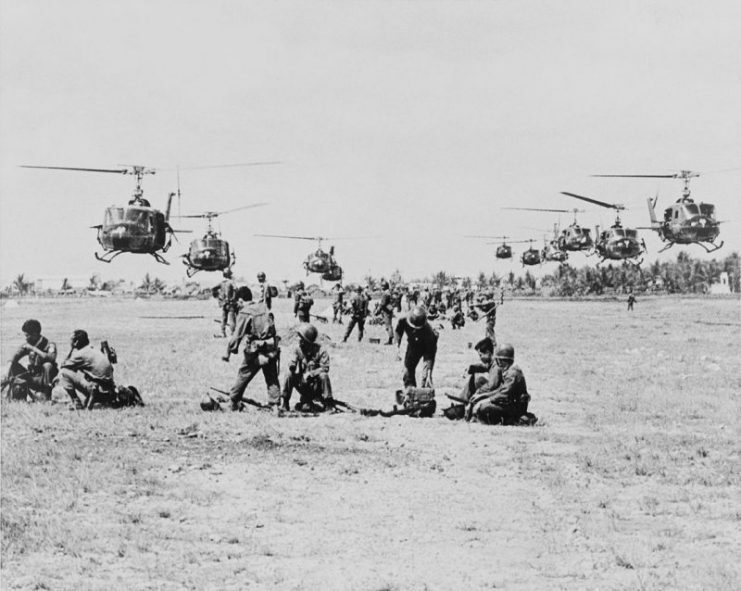 U.S. Army Bell UH-1D Huey helicopters in Vietnam. By the time the last helicopter had left, dusk was beginning to gather over the skies, and hell was about to break loose. Shortly after the helicopters left, three PAVN companies ambushed Perkins’s company on two sides. Grenades rained from all directions and bullets flew through the gathering darkness. 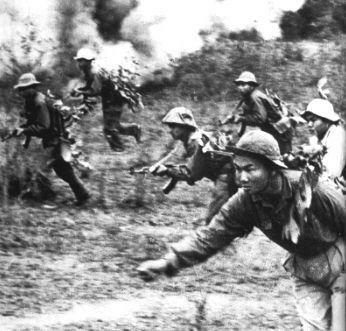 The Marines engaged the enemy, creating havoc in the woods of Hải Lăng. Soon the forest was completely enveloped in darkness, burning with the fires of explosions. Perkins took cover beside a log near the landing zone alongside Corporal Fred Boxill and Lance Corporals Michael Cole and Dennis Antal. As the combat relentlessly raged, Perkins wore his camera over his neck, trying as much as the others to survive. But everything would change the moment he saw a round object silhouetted against the background of explosions. It landed with a muffled thud just three feet from them. Everyone else saw the object fall, and they all knew what it was. Perkins yelled the alarm as the grenade landed. He quickly dove over it, completely burying it under his body. The explosion came, throwing his comrades into the air and injuring them. However, the three Marines survived, but Perkins didn’t. Operation Medina ended with the death of 34 Marines, one of whom was Corporal William T. Perkins. For his sacrifice, Perkins posthumously received the Medal of Honor on June 20, 1969, from President Richard Nixon. Perkins was the first and remains the only photographer ever to receive America’s most prestigious military honor.